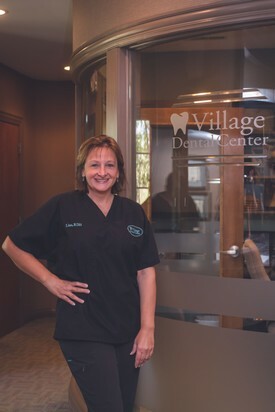 Tayli has been in the dental field since 1997 and has been a chair side assistant for Dr. Kaplan for 10 years. 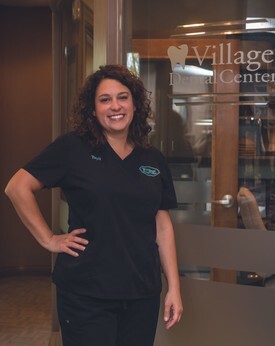 Last year Tayli was brought to the front of the office to assume the position as office manager.With years of hands on experience she has established a gentle touch and great knowledge of our patients needs, and was an easy transition for Tayli to make. Tayli is well educated in all dental procedures and continues to further her knowledge through seminars, including being certified in Cerec dentistry. When not at the office, Tayli spends her time with her two sons. Lisa has been a Registered Dental Hygienist for 28 years. 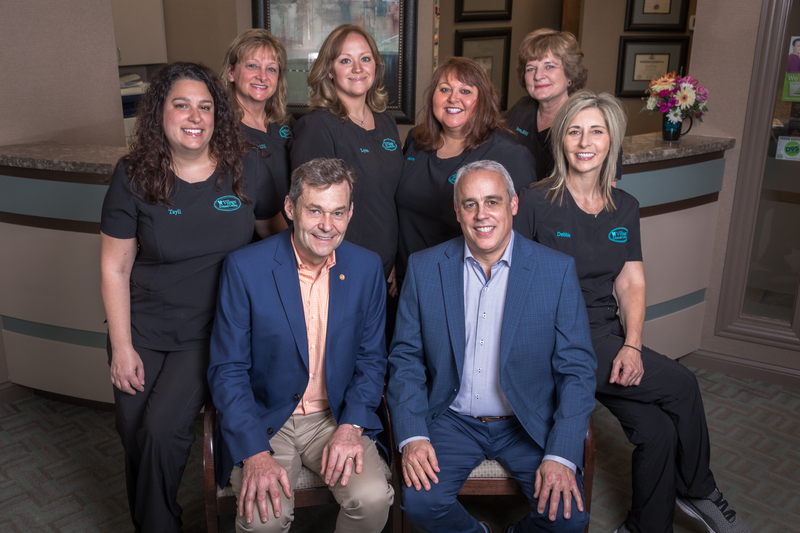 Lisa began working with Dr. Kaplan in 1992 when she moved to the Lake Zurich area. 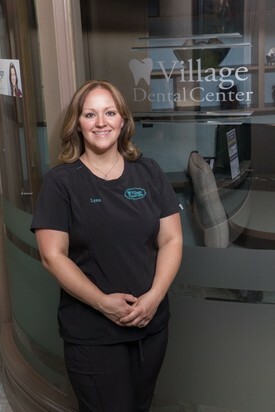 Lisa feels a great responsibility to her patients and demonstrates this by keeping informed about the latest technology and new techniques in Dentistry through participation in continuing education. Lisa likes to spend her time away from work with her family and friends. 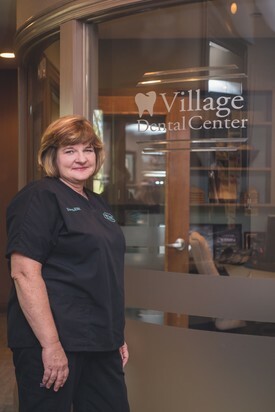 Dawn has been a part of Village Dental Center for 26 years, and has worked with Dr. Kaplan for the last 16 years. Dawn graduated from Marquette University and is a registered Dental Hygienist in both Illinois and Wisconsin. Dawn takes her responsibility for the dental health of her patients very seriously, and continues to grow professionally through continuing education experiences. Dawn loves being a Dental Hygienist and offers personal attention to each patient’s oral health. When not at work, Dawn likes spending time with her family and friends. Debi is a certified Dental Assistant with over 15 years of experience. She has spent the last 13 years working with Dr. Kaplan. Debbie is well trained in all dental procedures, including Cerec, and constantly seeks to further her knowledge through seminars and classes. She enjoys ensuring that the patients’ visits are as comfortable and pleasant as possible. When not working, Debbie loves watching sports especially the Blackhawks and spending time with friends and family. Lynn grew up in Pennsylvania. She went to the college of Southern MD for dental assisting. Lynn has been a dental assistant for over 10 years. 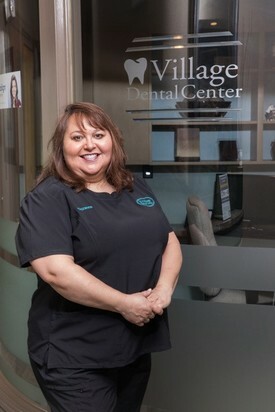 She is so glad to be sharing her experience with the team at Village Dental Center. Lynn has a 2 year old daughter that she loves spending time with when away from the office. When not at the office she enjoys movies, theater and shopping. 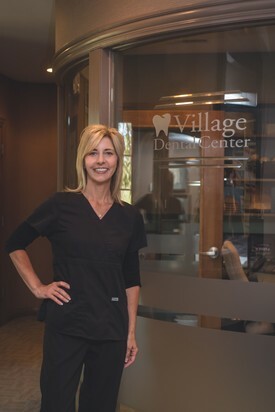 Lynn is a great addition to the Village Dental Family.